Navigate to the ‘Create account’ link which can be found in the top right hand corner of the homepage. Once selected a new screen will appear, complete the fields on the right hand side under ‘Create an account’ and make sure you tick the field next to Terms & Conditions then select the orange button. Following registration we recommend you log out and sign back in to your account, as this action will fully verify your account as being active. You will not be able to proceed with the online application process unless this process has been followed. Once your account is activated / verified, you can then continue to search, save, apply and update your personal information via your account whilst signed in. I had an account on the old wmjobs site is it still available? ​Any existing users from the old site have been moved across to the new one. You should have received an email from us informing you of the email address you have registered with and how you can reset your password to login. Once login to your account, you should be able to see any previous applications that you had submitted and manage any job alerts that were set up. If you know the email address you signed up with you can reset your password by clicking here. Please note a password reset email will only be sent to email addresses that hold an account. If you do not have an account then you will not get a password reset. 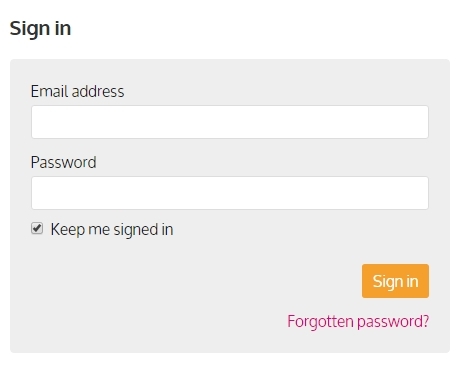 Enter your email address and click on ‘Forgotten password?’ Follow the instructions and ‘Submit’. You will receive an email to allow you to reset your password. You can also reset your password, by clicking here. Please note a password reset email will only be sent to email addresses that hold a WMJobs account. If you do not have an account then you will not get a password reset. You can change your email address by signing into your account which is located at the top right hand-side of the website. To sign in please click here. Then select the ‘Your account’ option. Please note this will not update your e-mail address in your application form. You will need to do this the next time you apply.